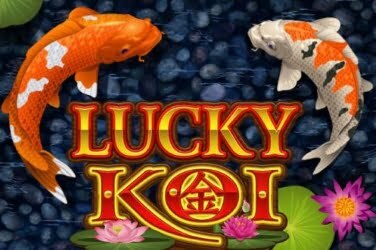 Lucky Koi is a stunningly designed and beautifully rendered video slot game that pulls you into the tranquility and majesty of a Japanese water garden. This game’s beautiful 3D graphics are based on a theme as simple as that of a Koi pond. The lovely Koi fish swimming around in the pond and the soothing Japanese music in the background add to the experience of playing this game. 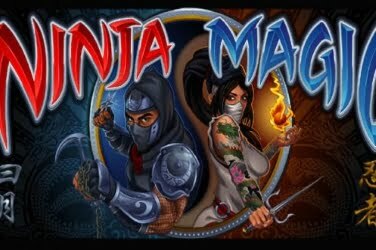 This innovative theme comes alive with slot symbols that are well designed and stunningly beautiful. In this game, you are likely to find symbols such as two Koi fish in a Yin Yang pattern around a water lily, frogs, turtles, gold and silver teapots, Japanese coins, dragonflies, water lilies, and Japanese fans. 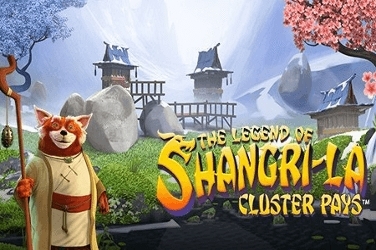 One of the chief highlights of this game is that it offers one of the biggest standalone prizes among online slot games, with a chance to win a jackpot of 125,000 coins on any spin. 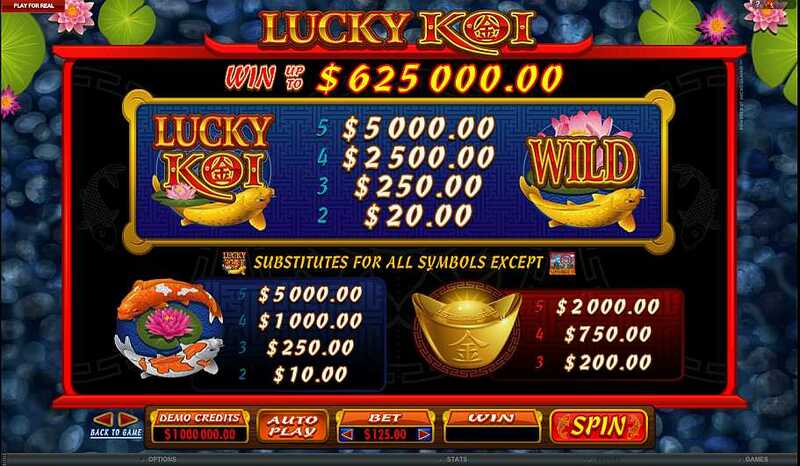 The Wild symbol is the Lucky Koi game logo, and it can stand for any other symbol in the lines with the exception of the Scatter symbol. The Wild symbol is pretty standard for most Microgaming slot games. In this game, the Wild symbol does nothing fancy. It simply stands in for other symbols, but it is still a good feature to have in the game nonetheless. When three or more Scatter symbols appear anywhere on the reels, it pays off. 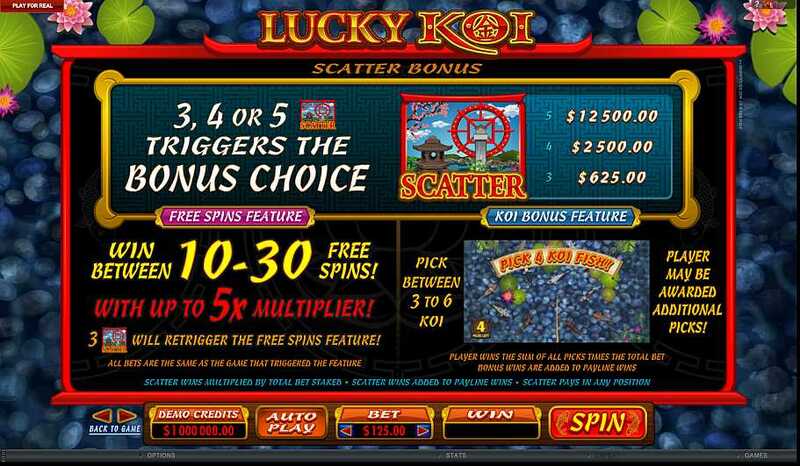 At this point, the player also gets an option between playing either the Free Spins or the Koi Bonus features. You can read more about both those features in the sections below. 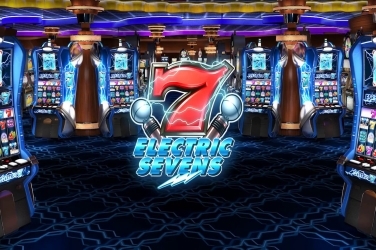 The Free Spins feature can be activated once three or more Scatter symbols land on the reels. 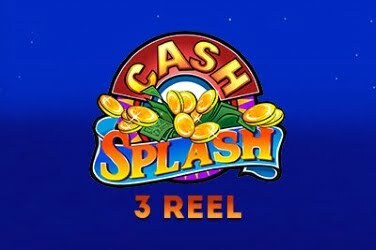 This feature awards the player between 10 and 30 free spins along with a random multiplier that could go as high as 5x. 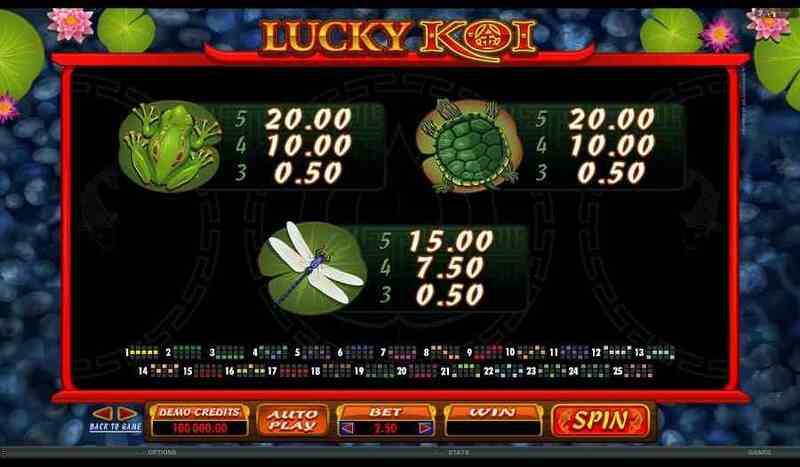 The Bonus Round feature is one of the highlights of the Lucky Koi video slot game and can be triggered by choosing from among the two options that become available to the player once three Scatter symbols simultaneously appear during the game play. In this round, the player takes a break from the slots and attempts to catch three to six Koi fish using a fishing pole. Catching each fish awards a cash win and with some luck, you may even be able to catch additional throws of the fishing pole. 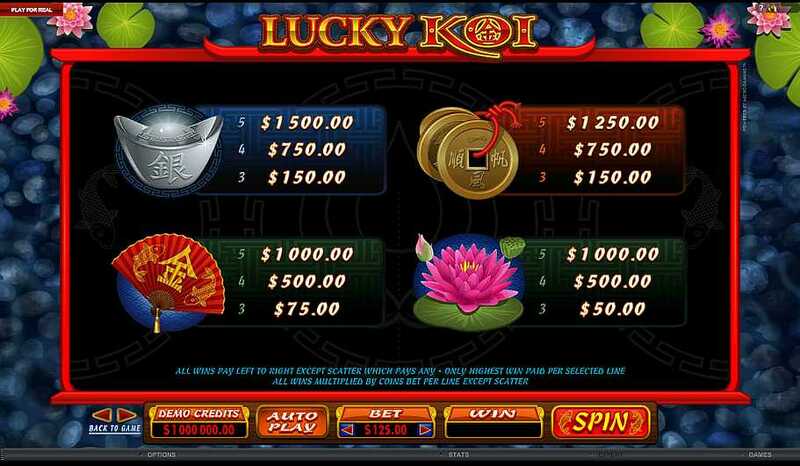 Lucky Koi is a standard five reel video slot game, with 25 paylines available. Players are able to choose the coin sizes and denominations as well as their own bets. There is an Auto play option and the number of spins can vary from 25 to 500 based on your choice. 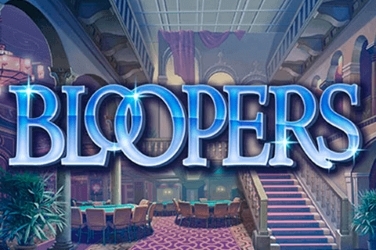 The betting range in this game is between 0.01 and 0.10 coins per line and the maximum bet is of 25 coins. Except during Scatter, all wins pay from left to right. Similarly, except in the Scatter round, wins are multiplied by the number of coins that are bet per line. 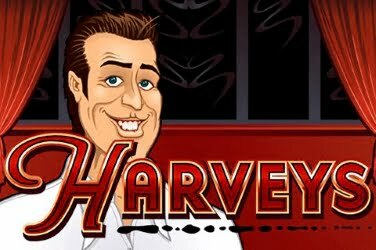 Even though it offers a good betting range, this game may still not quite suit the high rollers. However, it is perfect for those starting out or those who prefer low to medium range slots. Overall, Lucky Koi makes for a truly fun and interesting experience with its innovative theme and lovely design elements.